The Antonov-148 was carrying out a test flight, when it went down in central Russia on the border between the Voronezh and Belgorod regions. 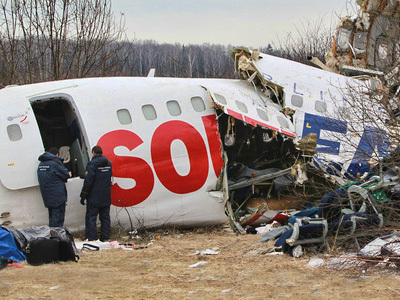 The probable reasons of the crash, which are being examined by the investigation group, include pilot error, production flaw and low-quality fuel. The criminal case that has been opened already includes charges on violation of traffic security and operating rules, which resulted in the deaths of two or more persons. According to eyewitness reports, a torn off wing could have caused the crash. Eyewitnesses say they heard an explosion, and saw one of the wings and the tail fall off the plane while it was still in the air. The jet was going down over a school and a kindergarten, but the pilots managed to take it away from the residential areas. “There were six people aboard the plane. All have died. Their bodies have been found,” Itar-Tass news agency quoted the press service of the Russian Emergencies Ministry's regional department as saying. The investigators have found the flight recorders at the site and sent them for decoding. Russia's Interfax news agency reports the plane was intended for the Myanmar air force and was on a test flight to log hours. Two of the dead crew members were Myanmar pilots; one of them had been operating the plane. The plane crashed in the countryside in flames, which lasted for several hours. The Russian Emergencies Ministry stated there were no casualties on the ground. The plane is brand new technology, developed by Ukraine and Russia in association with thirteen other countries. It can carry up to a hundred people, and is to be used for both passenger and cargo flights. 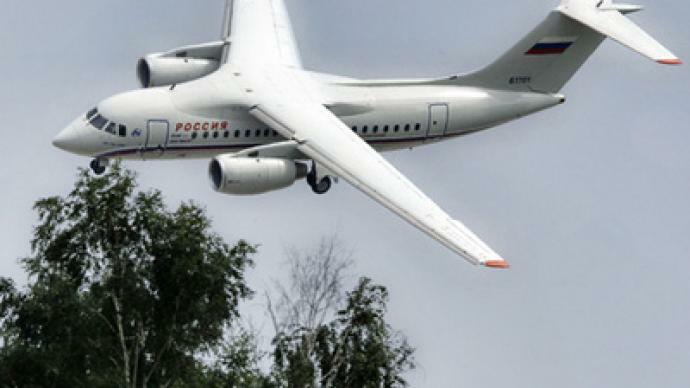 According to the only operator of Antonov-148 planes in Russia, GTK “Rossiya”, the flight control of Antonov-148 is not secure enough yet to provide regular flights, RIA Novosti news agency reports. The latest tests of the model run by the operator have revealed over 200 technical issues concerning the vehicle.